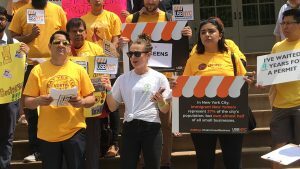 Today, advocates launched the platform for United for Small Business NYC (USBnyc), a coalition of community organizations across New York City fighting to protect New York’s small businesses and non-residential tenants from the threat of displacement, with particular focus on owner-operated, low-income, minority-run businesses that serve low-income and minority communities. Today, advocates launched the platform for United for Small Business NYC (USBnyc), a coalition of community organizations across New York City fighting to protect New York’s small businesses and non-residential tenants from the threat of displacement, with particular focus on owner-operated, low-income, minority-run businesses that serve low-income and minority communities. As part of their platform launch, USBnyc outlined recommendations to prevent small business displacement through a variety of policy and legislative solutions. In the coming months, the coalition will engage community organizations, commercial corridors, and elected officials to fight back against commercial displacement together. 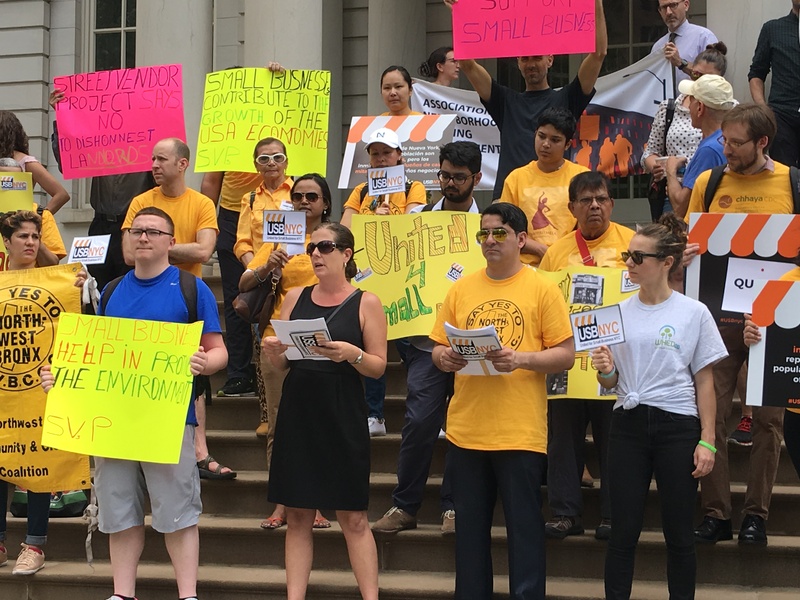 Under the threat of landlord harassment, impending displacement, and a lack of city resources, USBnyc aims to create strong, lasting protections for commercial tenants. 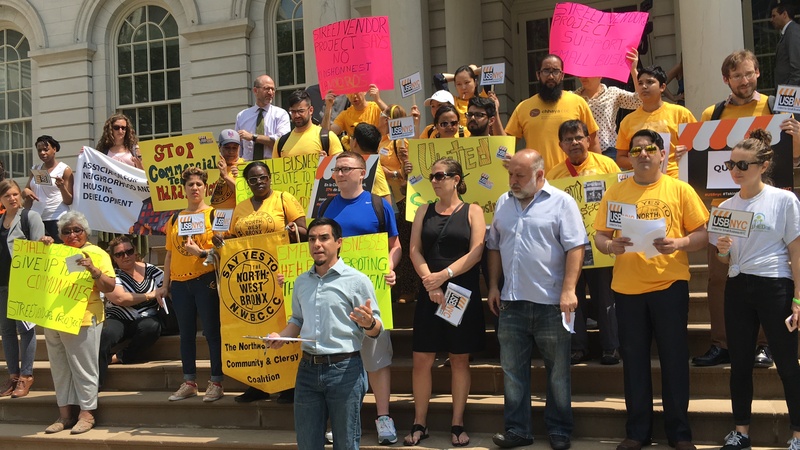 The coalition was successful in helping pass last year’s commercial tenant anti-harassment legislation, which for the first time ever allows commercial tenants to legislate against unscrupulous landlords. Now, businesses are looking to build on the framework of the commercial tenant harassment legislation by expanding the definition and providing legal services for small businesses. However, not all commercial corridors are experiencing the same challenges. While some areas have small businesses struggling to hold on, others are marked by vacant storefronts. These vacant storefronts became a reality as landlords wait for tenants who will pay high rents and receive no penalties for commercial warehousing. As a citywide coalition, the United for Small Business NYC platform targets this challenge by calling for the creation of a penalty system for commercial warehousing as well as new financial tools to facilitate development of affordable commercial space by non-profit entities. 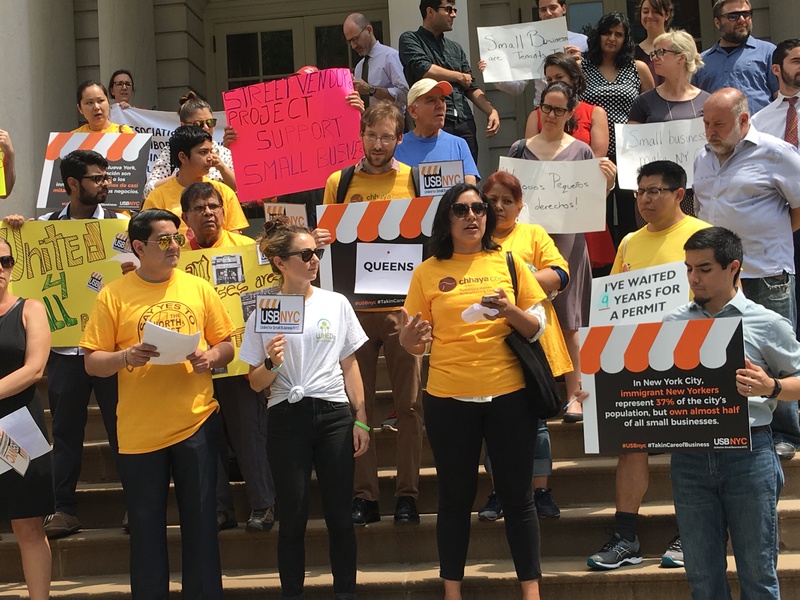 Advocates urge the City to take action on these challenges, stressing that the continued displacement of small businesses from New York’s communities exacerbates the cultural displacement underway citywide.